Appellate Decisions: Lambert v. Traveler’s Indem. Co., 145 A. 3d 1095 (N.J. App. Div., 2016); Khalid Sanders v. NJ CURE, A-3878-12T1 (Unpublished App. Div., March 13, 2014); Flood v. Aluri-Vallabhaneni, 431 N.J. Super. 365 (App. Div. 2013), cert. denied 216 N.J. 13 (2013); Gonzalez v. Smith, A-3011-10T2 (Unpublished, App. Div. 2012). 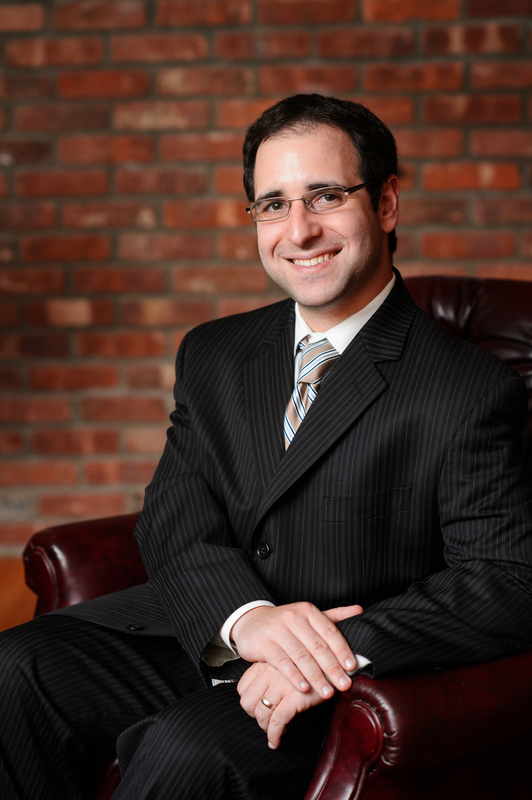 Daniel Levy was selected to the Super Lawyers Rising Star list for 2014, 2015, 2016, and 2017. The Super Lawyers list is issued by Thomson Reuters. A description of the selection methodology can be found at this link. The rating from Avvo is a numerical grade generated through Avvo’s proprietary algorithm, based in part on client reviews, peer endorsements, experience, and any history of discipline. No aspect of this advertisement has been approved by the Supreme Court of New Jersey. Daniel A. Levy, Esq. is a partner of the firm and a Certified Civil Trial Attorney by the New Jersey Supreme Court. In addition to representing plaintiffs in personal injury actions, he is also the partner in charge of the firm’s Family Law and Criminal Defense practice areas. Mr. Levy has handled many different types of cases, from inception through trial. He also handles much of the firm’s appellate work and enjoys researching and arguing unique legal issues before the many judges that he appears before on a regular basis. In addition to his skills doing trial work and research and writing, Mr. Levy is a skilled proponent of using technology to better practice law. Mr. Levy is regularly seen using his tablet to remotely access client files and his legal reference library (sometimes on-the-fly while before a judge) and using digital presentations and illustrations at trial. Dan Levy is presently admitted to practice in state court in New Jersey and New York, as well as Federal court in the District of New Jersey, and the Southern and Eastern Districts of New York. Mr. Levy is a member and active participant of the Passaic County Bar Association, and he keeps up to speed with the latest legal issues by participating in continuing legal education at the Justice Robert L. Clifford American Inn of Court. Daniel Levy received his J.D. from New York Law School where he was awarded a Certificate of Mastery in Law Practice Technology and served as an editor for the journal Media Law and Policy. Prior to that, he received a B.A. from State University of New York at Albany, double majoring in Criminal Justice and Communications and receiving a minor in Computer Science. He also served as treasurer for his fraternity, Alpha Epsilon Pi. Today, Mr. Levy lives in Teaneck, New Jersey with his wife and three children. Besides spending time with his family, Daniel enjoys skiing, hiking, home brewing beer, photography, and cooking.